The North American line-up of Nintendo Selects will add in three new additions for the 3DS library. Star Fox 64 3D, The Legend of Zelda: Majora’s Mask 3D, and Super Mario Maker for Nintendo 3DS will officially price drop to $19.99 USD beginning February 4th, half their typical $40 MSRP. Both Star Fox 64 3D and Super Mario Maker for Nintendo 3DS were previously discounted in Europe (in Star Fox‘s case, since October 2015). The Nintendo 3DS may be turning 8 years old in 2019, but Nintendo will not let the portable family go quiet into that gentle night. Last week saw the release of Mario & Luigi: Bower’s Inside Story + Bowser Jr.’s Journey, while Yo-Kai Watch 3 will in North America in February and Kirby’s Extra Epic Yarn on March 9th. 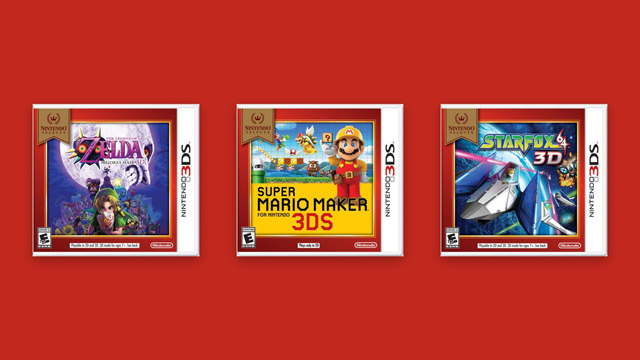 Stay tuned to oprainfall in the months to come for any 3DS coverage that comes.